TheSamba.com :: Bay Window Bus - View topic - Which Echlin points for 1970 bus? Which Echlin points for 1970 bus? Posted: Sat Oct 07, 2017 6:25 am Post subject: Re: Which Echlin points for 1970 bus? I've had points with a similar rubbing block design come out of a vintage genuine VW parts box. Its not the design (the L shaped rubbing block)......its always been some verion of the L shaped rubbing block......in several different materials. Black, the original brown....white/beige. The whote ones were prone to cracking.....and that may be partly due to lubricant type. I have IIRC not had any of the white ones fail on me.....personally....but thats because I quit using Bosch points prior to that period because of other issues (moving electrode high spots and points arm misalignment). But I have been on hand when the white rubbing block failed for other owners....who are skilled at working on VW. Again.....even though the plastic changed on the rubbing block.....a likely part of the reason why some had no issues and others had failure is probably a comhination of temperature, humidity and lubricant chemistry on that particular plastic. It looks like a nylon of some type. Several nylons were notorious for this kind of failure. 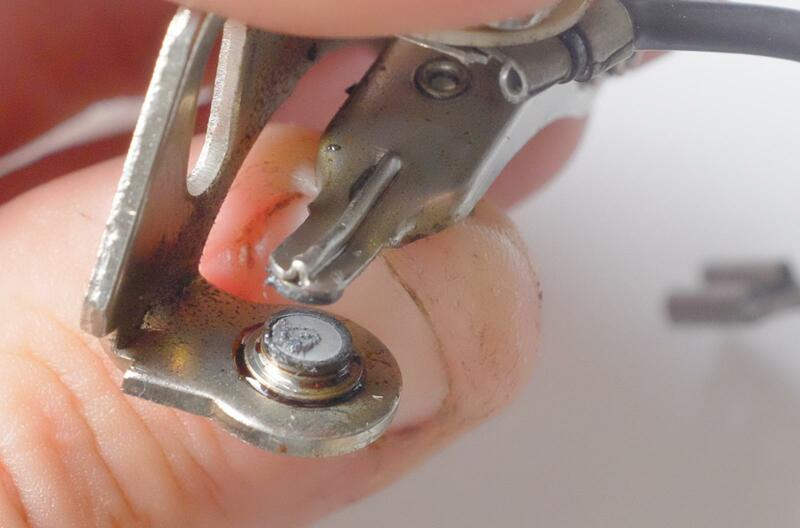 Also as I noted in that other points thread.....how much stress its under from the rivet can make all the difference in the world. Posted: Sat Oct 07, 2017 11:36 am Post subject: Re: Which Echlin points for 1970 bus? I guess I should have added that they are not Bosch points. They have no makers mark on them and were likely either Bremi or Beru, even back then in the 1960's- 70's. I consider these to be of very high quality and not prone to cracking. They might also be German Echlin. Posted: Sat Oct 07, 2017 1:24 pm Post subject: Re: Which Echlin points for 1970 bus? Those look like the Standard motor products T or econo-line from back in the day . You can tell because it has no brass bush around the pibot pin....but with that plastic type (tough, slick and self lubricating)....it likely does not need it. From what I can find from the history....SMP has been manufacturing Echlin, Niehoff, Beldin and others.....for a long time. Actually...just read that Dana corp tried to buy and integrate Echlin in 1998....failed and sold it to SMP. SMP was using that form and technology long before 1998...so itw hard to say if it was original Echlin technology or SMP. Echlin started in 1924. Standard Motor Products started in 1919. SMP owns BWD automotive (Borg Warner) as well....which is why in their lowest tech tier you see parts that have been classically "Borg Warner".....through the 80s and 90s....you know...stamped crappy points...the pinkish warp-able distributor caps sold by American FLAPS...ETC. Posted: Sat Oct 07, 2017 4:26 pm Post subject: Re: Which Echlin points for 1970 bus? Good information there Ray. Years ago I purchased a large quantity of VWOA condensers that are made in Mexico, late 1960's through 1970's, as a guess. The condensers are from the shelves of a VW dealership that was closing. They are of very high quality and while they are not in a VW branded box the "Englewood Cliffs, NJ and VW# on the box are the dead giveaway to who distributed them. Posted: Tue Feb 05, 2019 12:54 pm Post subject: Re: Which Echlin points for 1970 bus? Resurrecting an old thread with an autopsy of some Echlin points from Napa. I installed them July 18th, 2016 using the included grease, and adjusted them a few hundred miles later. I greased with Bosch grease twice a year after that, and filed them maybe a dozen times. Since installation, I have driven 67,798 miles without a single adjustment. From the pictures, you can tell that the points should have been replaced long ago, but the car had no symptoms that indicated otherwise. Timing hadn't retarded more than 2°, and dwell only moved from 45° to 48° over the last two and half years. Even my NOS Bosch points couldn't go that long. Should you do this? No. Will I do it again? No. I only inspected them because I have a single cylinder one-spark misfire if I'm floored for more than half an hour. Anyway, I hope this settles any doubt about the Echlin products. See you on the road. Posted: Tue Feb 05, 2019 1:10 pm Post subject: Re: Which Echlin points for 1970 bus? To bad you didn't buy ventilated points, you could have cut your maintenance by half. Don't know for sure that I have ever gone that many miles on a set of points, but I will go 20K before I file them and then that many miles again before I think about refiling them again or replacing them. Posted: Tue Feb 05, 2019 7:52 pm Post subject: Re: Which Echlin points for 1970 bus? Those points.......are made by Borg Warner or are at least the Borg Warner design made probabpy by SMP for Echlin. They are an economy point set. In general the electrodes on the SMP version of those Borg Warner points.... ar good. Usually very flat and polished. The vertical rib on the back of the arm that keepa the arm straight when they overheat......is also an SMP improvement over the original Borg Warner from what I remember. 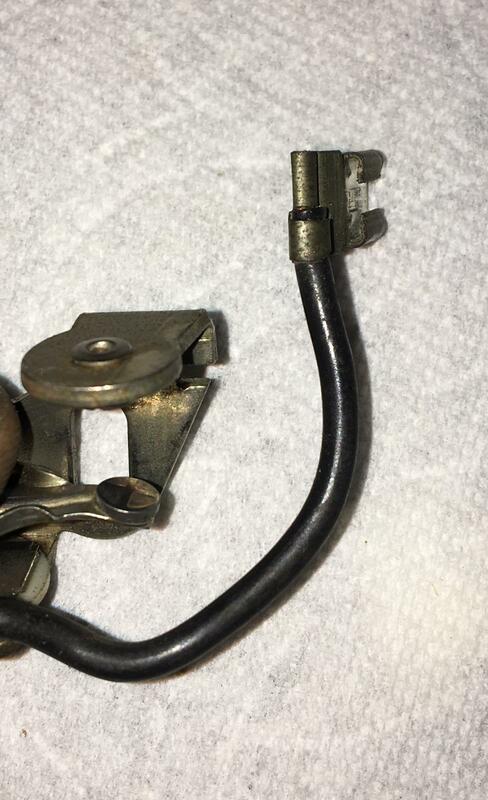 I cabt tell for sure....but does that point set have the copper leaf conductor wrapped around the outside of the spring? The cheaper part that makes them a less expensive point set is the stamped arm frame and the way the pivot is swaged. Good to see that the lowesr denominator points from NAPA/Echlin/SMP.....are good! Posted: Tue Feb 05, 2019 8:50 pm Post subject: Re: Which Echlin points for 1970 bus? Interesting timing of your post Robbie. These points just arrived in the mail today. 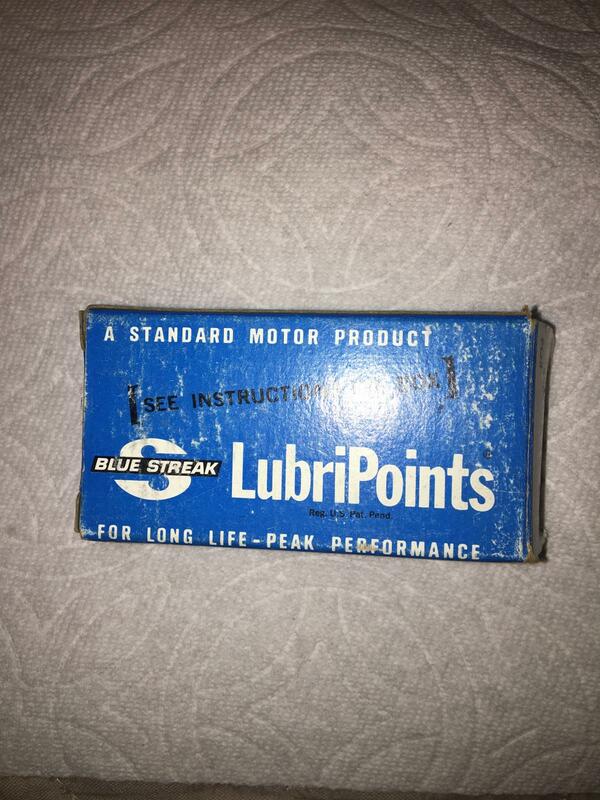 NOS Blue Streak Points for the 113905205T distributor. I sourced these and a couple of other sets for my personal stash. There's been lots of talk of these NOS points being the creme de la creme of points for our Bosch distributors. They are vented as well. After seeing how bad the top of the line 01011 new Bosch points are currently, I've switched to installing only SMP points in my restored distributors unless I have German made Bosch points in stock. I wonder how many miles these Blue Streak points would run before needing to be changed if they were kept lubed, clean and matched to a good condenser? Robbie should mount a set and report back. Posted: Tue Feb 05, 2019 9:53 pm Post subject: Re: Which Echlin points for 1970 bus? 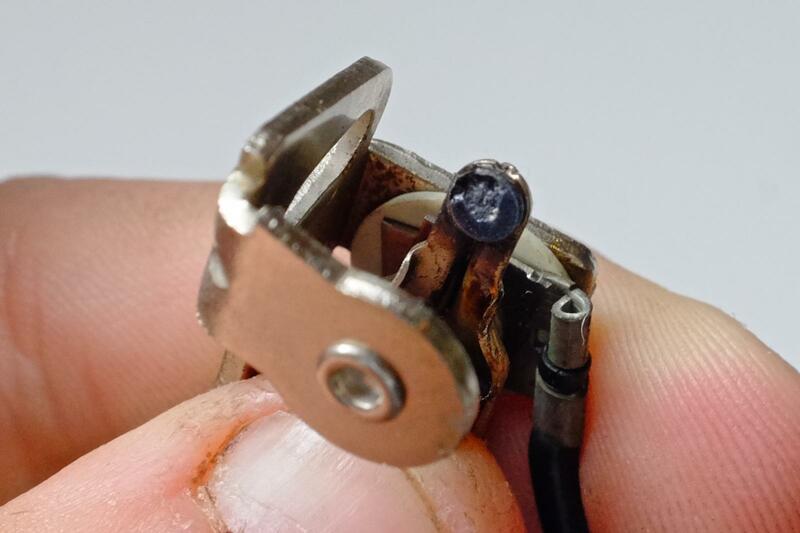 With electronic ignition none of the above would be a problem forever. 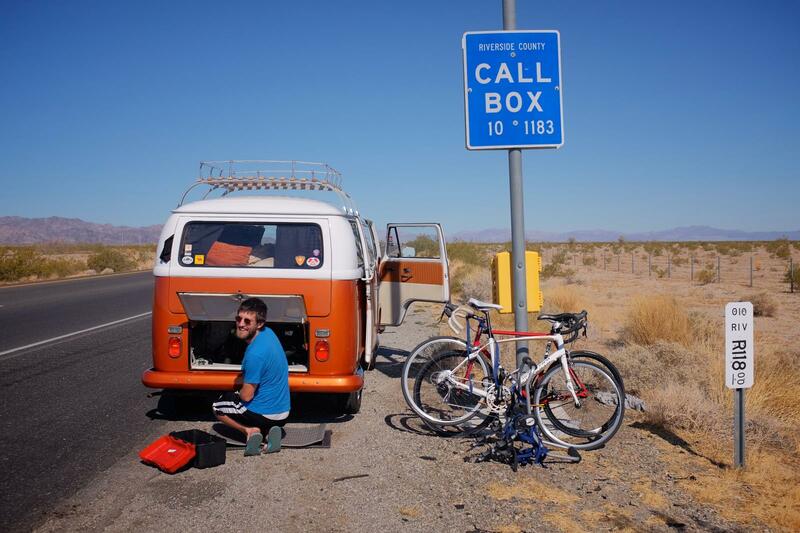 1972 Mercedes Benz 280 SEL 4.5 "Buttercup"
1969 Lambretta 150 DL "Nina"
Posted: Tue Feb 05, 2019 9:55 pm Post subject: Re: Which Echlin points for 1970 bus? With the above, we don't have to worry about being left on the side of the road w/out warning due to the electronic ignition suddenly burning up either. Posted: Tue Feb 05, 2019 10:19 pm Post subject: Re: Which Echlin points for 1970 bus? I am happy to test ANY product y’all wanna send me, as long as it doesn’t cause damage to my car. I average about 2,500 miles a month, so whatever I test WILL be vetted, and it will be vetter on the road, not on a bench. Posted: Tue Feb 05, 2019 10:55 pm Post subject: Re: Which Echlin points for 1970 bus? 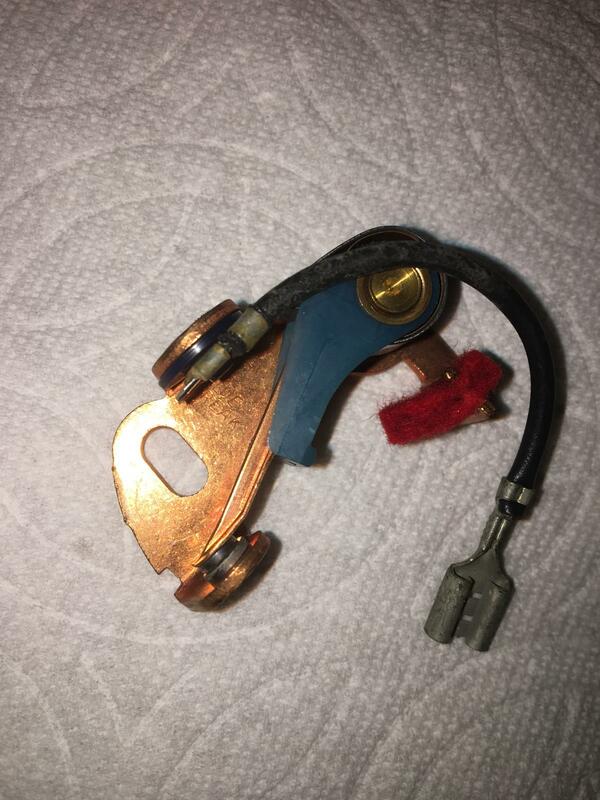 While I keep spare points in my camper, I have had my Allison/Crane ignition in my car for 40 years and over 200,000 miles with nary a breakdown. Perhaps Pentronics are not so good. 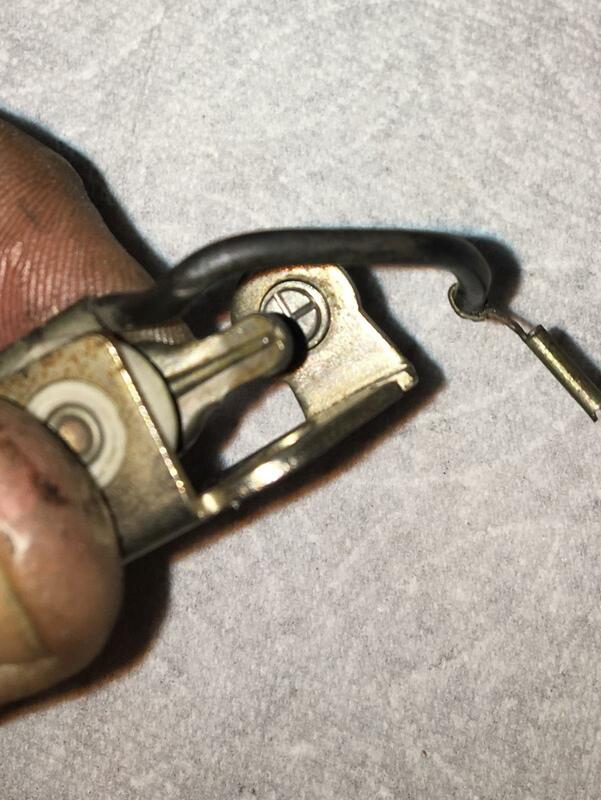 My only ignition maintenance is changing my plugs and checking my timing from time to time. No points! Posted: Wed Feb 06, 2019 5:01 am Post subject: Re: Which Echlin points for 1970 bus? There! I sent you a link to BUY a set to try out. Posted: Wed Feb 06, 2019 9:50 am Post subject: Re: Which Echlin points for 1970 bus? I have well over 250,000 miles on a pertronix just in my 412.....never had a failure. Oh...wait...I had one failure.....because "I" mis-connected it out of the box. No fault of the Pertronix. I have installed....dozens...in other peoples cars. Never had a failure in any of the time over...years....while keeping track of many of them. I have installed a few Crane systems as well. Bear in mind.....I a few years back I wrote pages of install information on Pertronix ....snx got tired of how the threads break down into the points versus electronic BS....so I quit. 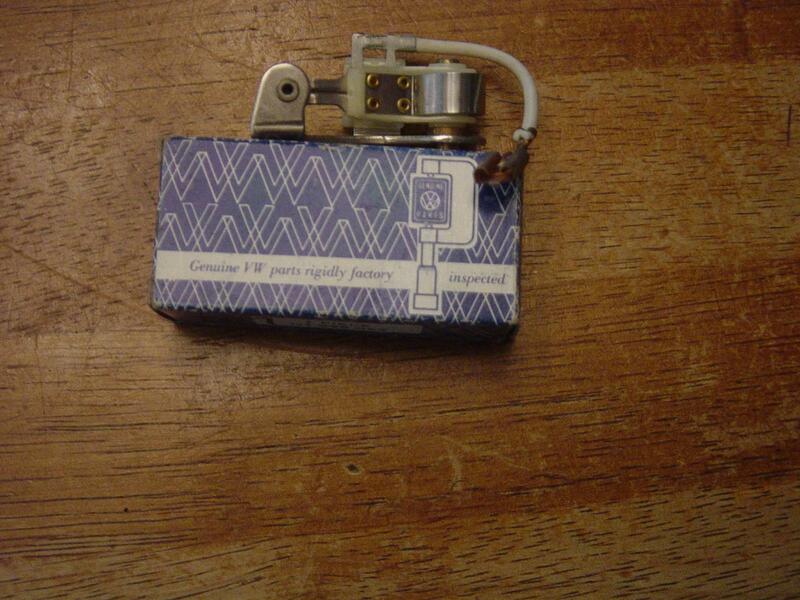 The Pedtronix and compufire modules are NOT a five minute drop in mod.....if you want them to run dxcellenetly2. There are a whole handful of dimensions to check.....because with an even half dozen variations to the way the top of the points cam was machined over the years ....just in the type 3 and type 4 distributors used in 411 and 412 cars.....and a wide range of subtle differences in points plates (thickness, slop, etc. )....not to mention some variation between dimensions of cap and rotor.......and there is no way for these companies to make a "drop in" product that exactly fits every distributor with the same exact result without some adjusting. This is not even to mention the manufacturing variation in the magnet disc and the location of the pick up as epoxied into the module body. The crane system was a good quality product....but no better than the Pertronix in my experience. Posted: Wed Feb 06, 2019 2:56 pm Post subject: Re: Which Echlin points for 1970 bus? Ray, could you explain the difference between vented and non-vented points? 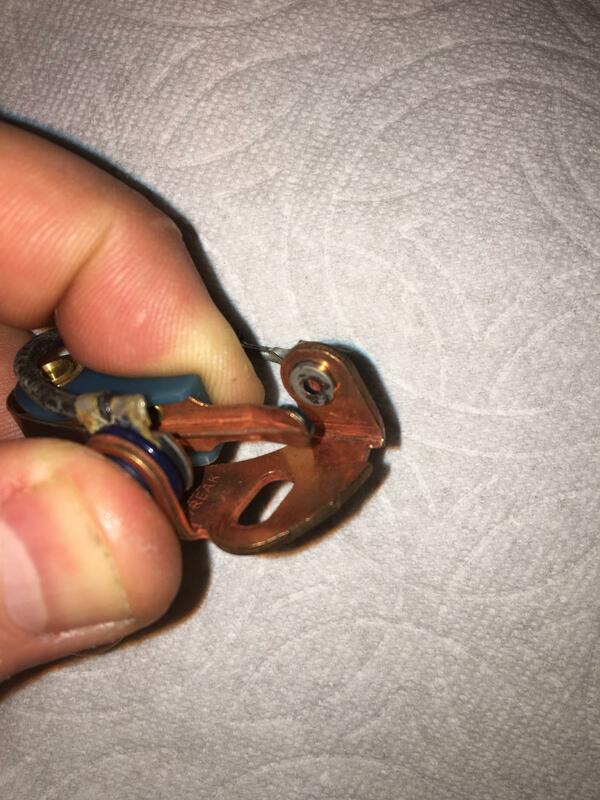 Never heard of "vented" breaker points. 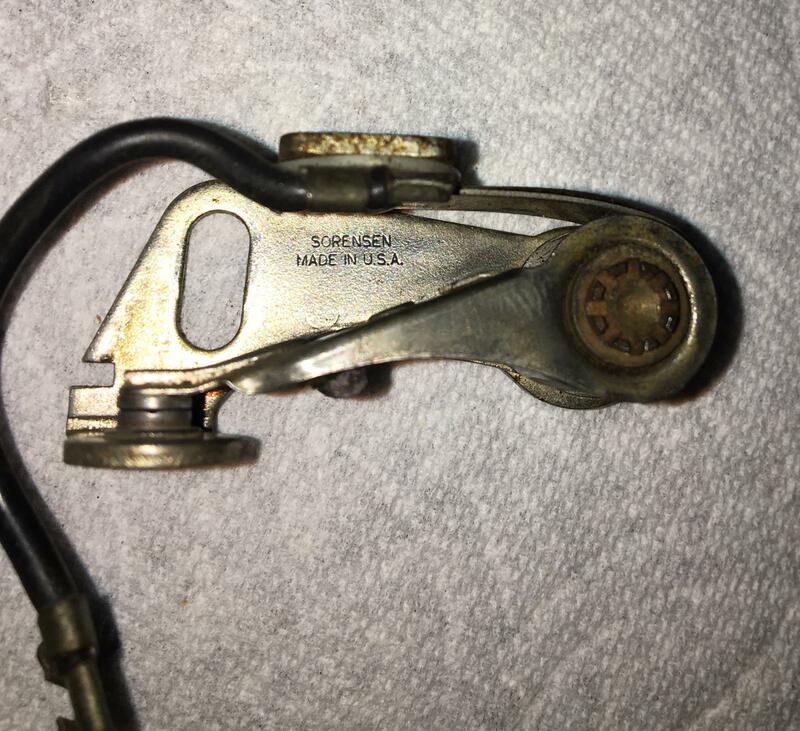 However my '62 Lincoln has breaker points with the hole in the middle of one of the contacts. 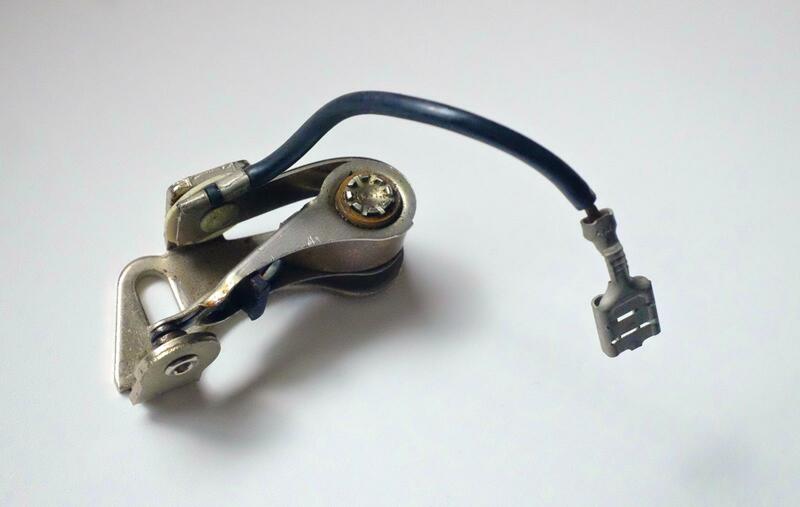 This merely improved the contact pressure for more positive switching > less pitting. 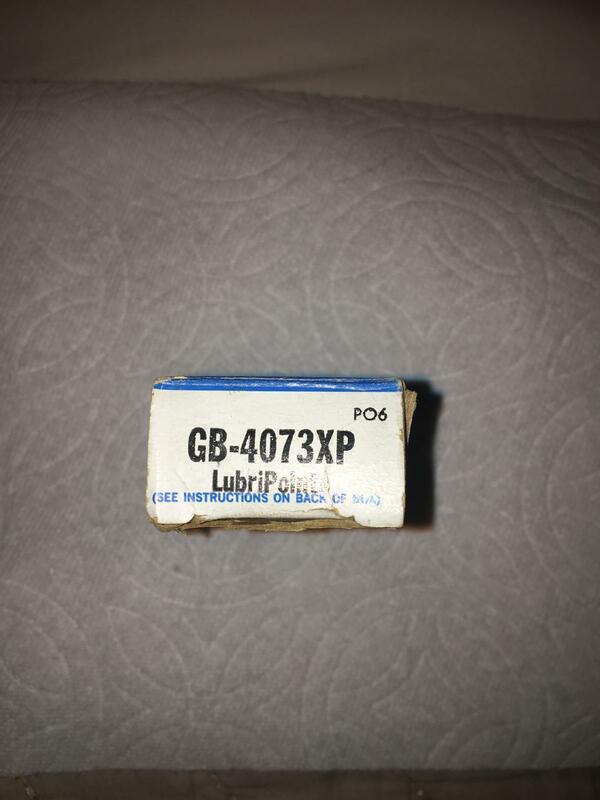 Posted: Wed Feb 06, 2019 3:10 pm Post subject: Re: Which Echlin points for 1970 bus? Vented means a hole in the middle of the stationary contact. 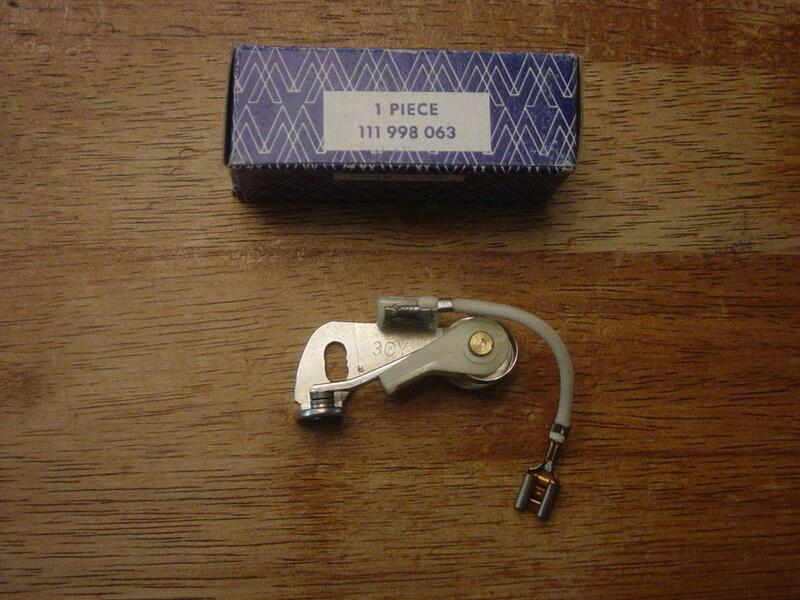 I have also seen stationary contacts that were divided into four quadrants with cooling slots between them. The ones with a hole in the center seem to do a better job than the standard unventilated contacts do in my experience. Posted: Wed Feb 06, 2019 5:38 pm Post subject: Re: Which Echlin points for 1970 bus? Yes...as Wildthings just explained well....Vented is a poorly descriptive name. It has nothing to do with ventilation or cooling. And as you noted...no pitting or metal peak......this is all the "vented" points electrode actually does. Posted: Wed Feb 06, 2019 7:32 pm Post subject: Re: Which Echlin points for 1970 bus? So, I couldn't tell further up in the thread if you were singing the praises of the Pertronix systems. You mentioned your 412 having Pertronix for 250,000 miles. Well, I know you are not doing hot endurance laps of the country with your 412, so I am going to guess that you have had that Pertronix system in that car for at least ten years, am I correct? In the past three years, I have checked every Pertronix customer for correct firing, and three of my customers had one cylinder of the four *over-advanced* due to the lousy plastic magnet insertion piece and the abhorrent quality control. My Missoula MT customer had a vicious deep main bearing knock that went away once all pistons were getting hit equally. My Road Warrior, likewise, had a defective firing pattern where #1 was being fired 3* advanced enough that it made an individual ghost shadow when I put the inductance pick up on the center coil wire so I could see all cylinders firing simultaneously. If you see a double timing notch in the strobe flash, or a doubled image of your 180* mark, it is a no in my book. You ever check for firing accuracy on the latest Pertronix units? Posted: Wed Feb 06, 2019 7:39 pm Post subject: Re: Which Echlin points for 1970 bus? Posted: Wed Feb 06, 2019 7:48 pm Post subject: Re: Which Echlin points for 1970 bus? Here's your four quadrants points made by Sorensen. I found these in one of my core distributors that probably hadn't been in service since the 70's. They look low mileage and I will use them again someday. 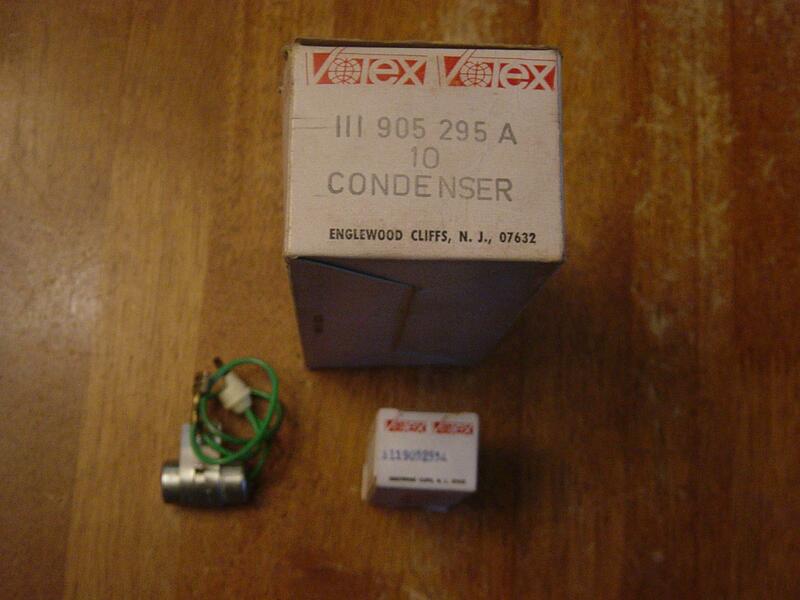 Sorensen was based in Kentucky and I read they were bought by SMP in the late 80's.